濾 LET THE FUN BE GIN – Served in a beautiful unicorn gin bottle, our magic tears infuse each drink with a glittery appearance and delicious taste. It’s a proven popular with gin lovers. 濾 GIN GIFTS FOR WOMEN – Is trying out a new flavoured gin or gin liqueurs her favorite activity? This could just be the gin gift you were looking for. It also works well as part of a cocktail gift set, gin gift set, or gin hamper. 濾 AN EXTRAORDINARY BASE FOR GIN AND TONIC OR COCKTAILS – Partner with your quality gin mixers of choice, go forth and consume the mythical spirit. 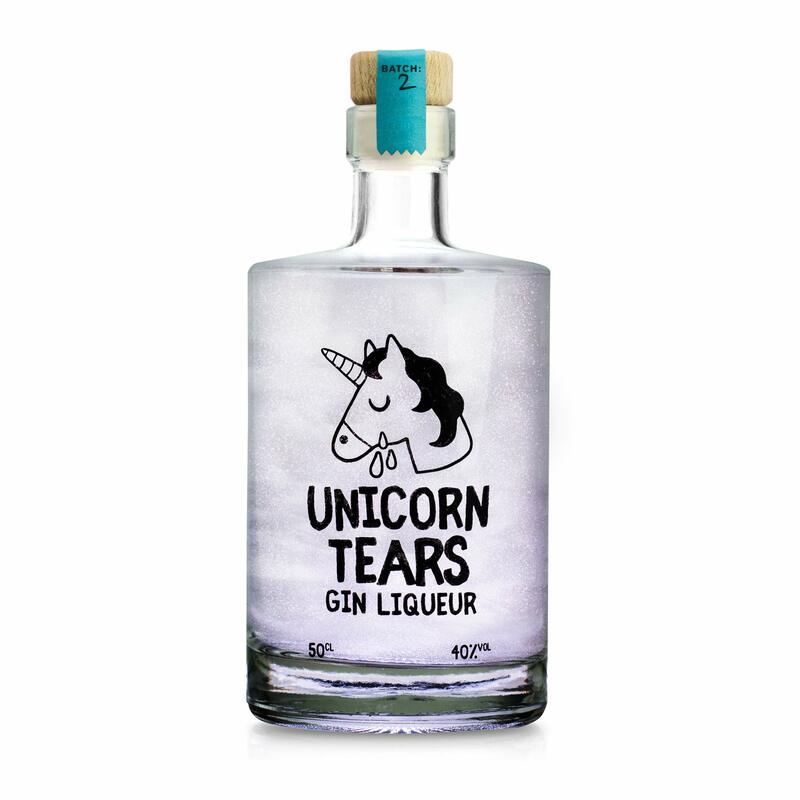 This gin liqueur contains real Unicorn tears. Created by Firebox in a secret location, using our free range Unicorn herd and closely-guarded extraction process (patent pending). For our second batch, we’ve refined and improved our emotion harvesting technology, resulting in a bittersweet gin experience and an iridescent glittery appearance that will blow your mind. To give Unicorn tears their unique taste, we humanely force-feed these beautiful beasts entire wheelbarrows of citrus fruit, oranges, juniper berries, bunches of coriander, and sticks of liquorice. We then force down this concoction with a giant glittery pestle, like fantasy foie gras, and reap the tears as they fall. You too can now embody the purity, power and potency of nature’s most sacred steed. To unleash their magical powers: Swirl the bottle. Behold its shimmering majesty. Consume the mythical spirit. 濾 UPGRADE YOUR GIN SELECTION – Owning a Unicorn tears gin bottle sets you apart from the crowd and makes you shine! 濾 FIREBOX: SHOP THE UNUSUAL – Firebox is known for creating and curating a range of unconventional products and gifts ‘with a twist’.